Sourcing Industry Group (SIG), the premier organization for sourcing, procurement, and outsourcing executives, and Everest Group partner to provide SIG members with insights and analysis to help them capture greater value from their contracts and provider relationships. To service the needs of clients in Latin America, Everest Group partners with MVD Consulting. The leading regional business consulting firm serves as the Latin American representative for Everest Group. Together, Everest Group and MVD Consulting help business leaders make better informed, high-impact decisions. The global business services sector in Poland has been growing at an astronomical pace over the past few years. Poland is also the largest nearshore delivery location in Europe. To better support our clients, Everest Group has formed a strategic partnership with ABSL Poland. Together, we will provide impactful, on-the-ground information about the latest growth trends and developments in this market. 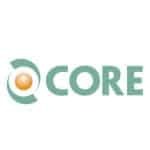 The Centre for Outsourcing Research & Education (CORE) is the premier association for Canadian businesses focusing on complex service provider relationships, such as outsourcing. As a member of CORE, Everest Group supports the organization’s mission to help member companies manage risks and optimize the value of service relationships. Our participation underscores our mutual commitment to provide insights that help members become informed, educated, and prepared to successfully execute their strategic IT and business process delivery strategies. 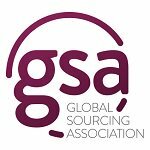 Everest Group regularly contributes research and thought leadership to The Global Sourcing Association (GSA), the industry association and professional body for the global sourcing industry. We support the organization’s mission to enhance the ongoing development, benefits, and positive reputation of the global sourcing industry. Our senior executives and research analysts participate in its symposiums, lead GSA sourcing interest groups, and share thought leadership in its publications. The International Association of Outsourcing Professionals (IAOP) is a standard-setting organization and advocate for the outsourcing profession. As an active member of IAOP, Everest Group participates in the association’s annual Outsourcing World Summits, local chapter meetings, and regional events, including its RPA event. Additionally, Everest Group experts regularly contribute thought leadership to IAOP’s Pulse magazine. The Information Technology and Business Process Association of the Philippines (IBPAP) is the enabling association for the country’s information technology and business process management industry. Everest Group supports the IBPAP by sharing our research and analysis at key summits and other thought leadership forums. Everest Group and Nasscom, the industry association for the Indian IT Business Process Management (BPM) industry, have maintained a strong partnership through the years. Everest Group regularly contributes research and thought leadership to support Nasscom’s mission of catalyzing the industry in its journey of building an innovation-led growth sector. Everest Group’s CEO and other senior leaders regularly speak at Nasscom’s India Leadership Forums, BPM Strategy Summits, and other key conferences. We serve as the Knowledge Partner for Nasscom’s Global In-house Centers Conclaves. Nasscom and Everest Group have partnered on several landmark studies and surveys, including those on BPM, GICs, RPA, and the landmark 2008 Nasscom-Everest Group India BPO Study.